The Darress Theater in Boonton, NJ, has a lot of stories to tell. For one, it will be 100 years old this year! The theater has been around since 1919, and is the last reverse-theater seating in the country. We sat down with Tom Timberbrook who has owned the theater since 1980 to get an inside scoop on the secrets the theater has to tell. MUSICXPLORER — Tom, Can you give us some history on the theater? Tom — The theater was built in 1919 by architect, Charles Darress. It started primarily as a vaudeville theater, then did silent films, and magic shows that even included the brother of Harry Houdini. Tom — Reverse means that the audience enters from the stage instead of the rear. The reason the Darress was made this way was because the location is on a steep slant and on a big rock. As far as I understand, they couldn’t dig down deeper, and it was the only way to build the theater. Otherwise, people would be climbing three flights of stairs and then walking down to their seats. The theater is solid, poured concrete that’s 18 to 22 inches thick on average. Tom — I had gone to film school and was operating a graphics store and doing still photography up the street from the theater. My friend told me that it was for sale, and so we went and checked it out. I thought it was a great place and had potential to become a PBS channel type. The theater has a lot of character. Have there been a lot of changes since you bought it? Tom — The theater has been updated from its original layout. We had a lot of work to do get it in the state that it is now. The theater used to hold over 1,000 seats, but we modified it to where the capacity is now 635 seats. There are four private balcony boxes with six seats in each and 200 seats in the mezzanine, and the remaining seats are in the main balcony. We added a lounge for artists that can be used as a VIP area for fans to meet them and sign autographs. We also have a recording room. 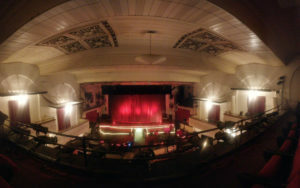 A view of the stage from the balcony. Tom, you mentioned the Darress was originally a Vaudeville theater. What acts played there? Tom — Burns and Allen, Abbott and Costello, Mae West, and others that were popular back in the day. The vaudeville acts would take the train and stop at theaters along the way. A popular myth is, people think that George Burns met Gracie Allen here, but actually, they met at the Lyceum Theater up the street. Wow. I never knew that about George Burns. That’s pretty cool. Tom — The Darress may not take credit for where Burns met Allen, but some of their first performances were here. George had fond memories of the theater, and he talks about us in his book, Gracie — A Love Story, and how Boonton started their career. George came back to visit Boonton and the theater several times over his life. He had even sent me a letter years ago before he passed away. In it he stated that he wanted to stop by when he was in the area to be our MC for a show. I wonder how many people from the Boonton area knew that. That is amazing. You mentioned that the theater did silent films and magic shows. What happened after the silent films ended? Tom — After the vaudeville and silent film era ended, the theater continued with magic shows, and added talking movies when they were released. Then later on in the 1970’s, they were showing X-rated movies and then the theater closed for a few years. We wanted to bring the theater back to the glory and respect it once had. 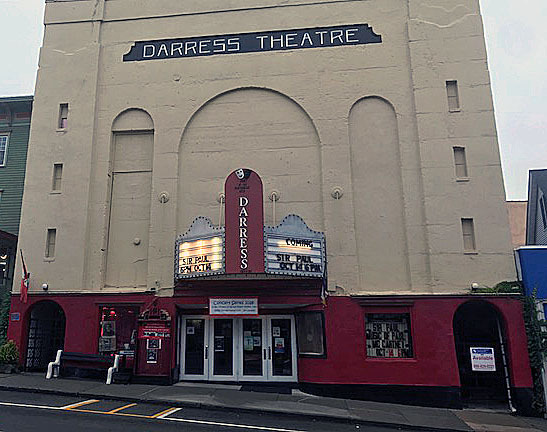 We changed the name back to Darress, as it has not been called that for a long time, even though at the front of the theater, by the roof line, the name is largely engraved in concrete. What performers and shows have you brought here? Tom — One our first performers, was folk singer Elaine Silver. Our first live play on stage was a benefit for the Riverside Hospital, called, “If I Can’t Live Forever, I’ll Die.” It was a fundraiser for them and was our first experience working with a hospital and working in live theater. It was more than what I had done before and was a great experience. The Baroque Orchestra of New Jersey started here as well. How did the Baroque Orchestra start in Boonton? Tom — Bob Butts started the orchestra. He had been working for a graphics company across the street doing music for their car ads, and was here to have his picture taken on the stage for a news article. He said out of the blue that he’d love to start an orchestra, and I said, “Well, why not?” So that’s how that started; and then right away we were into auditions and rehearsals. 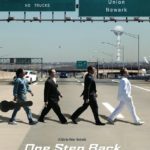 For the next several years, we were doing concerts on a regular basis until they had gotten bigger and were more upscale, becoming more formal with tuxedos. Bob is a very talented conductor and is an amazing musician to watch. We have talked about doing a reunion concert here and hope to do it before we sell the theater. So it’s still a pretty versatile theater? Tom — Absolutely. We still have magicians perform, we have film screenings, and still do theatrical productions. We also show classic movies from time to time. Just recently, we started showing the old silent films, starting with Metropolis, and will be showing Nosferatu and others. We have an organist and the organ has a Leslie speaker in it, so that sounds really great. We have done wrestling and boxing matches, and still do a lot of concerts. Jazz artist Rio Clemente and other folk artists such as Peter, Paul, and Mary have played here. We even had The Three Tenors. I have to say the tribute bands that play here are amazing. My friends in Damn the Torpedoes will be playing here on December 14th. I am looking forward to see how the acoustics sound in here. I read that Swampadelica did some recording here. Tom — Yeah, Damian Calcagne and the band recorded several of their albums here in the mid to late 1990’s. One of the recordings that was really cool was when they would come in at 10 at night and leave at 11 in the morning. They would record all night, and we would make breakfast for them. They walked around the whole building just checking out the sound and said to me, “You really need to listen and check out the sounds we are getting.” They were really excited at what they were recording. They used my concrete room where our projectors were and even had their singer, Nadine, in the coal bin that was in the basement and recorded her from there! Sounds like they had fun for sure. I can imagine just by what I have seen, that there are so many areas in which to record. The acoustics in here must be really great. I know Hot Tuna and other artists love the acoustics at the Tabernacle in Mt. Tabor because of the acoustics. Tom — In my opinion, the concrete structure helps to give it better acoustics. I believe it has better acoustics than the Mt. Tabor Tabernacle or the Met. There are a lot of mixing boards and other equipment in here. Did you have any knowledge of how to use it all? Tom — It was really trial and error. I got into the sound and the quality of it only after we started to really work on the theater. I know what I like and I know what I hear. I try to learn from what I hear from other people, and I do listen to people that know what they’re talking about. 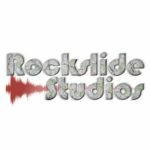 What kind of recording equipment do you have? Tom — For the stage area, we have a small CFX 12 channel Mackie for people that need a quick presentation and a Ramsa 6900 (only 11 of these were ever made) for the concerts, and these are located in the balcony. The studio area has another Ramsa board for recording small stuff for interviews or a film. There are three Yamahas, the 2404 on the main floor for the concerts, and a 1203 to use for fade in and out for videos. Why are you selling the theater? Tom — It’s our time to leave, and we have been the proud owners for a very long time, and we must move on. My wife is very involved with spinning and weaving, and because we breed Alpacas, and that’s a whole other world for us. Part of the family has bought a farm in Arkansas so that we can expand, and that will be where we go next. The theater needs new blood and energy. Have you had any offers? Tom — There have been a number of parties interested, but people come away thinking it’s too much work and since there is a lot of capability and equipment, plus it takes more than one person to operate. I multitask, and you really need more than one person to work here to get things done. We have a group that is really interested, but they are comparing it to the Welmont Theater in Montclair; however, that is more or less just a concert theater, where our theater has so many more uses. Are there any plans for the 100th anniversary? Tom — We have been talking about it. I don’t have anything planned yet, but when we do it, it will be a spontaneous event in the spring or summer with a barbecue or something like that. Do you think there would be a big turn out if you do it? Tom — I think so. There is a lot of history in Boonton, plenty of places to park, and more parking becoming available. Boonton also has a lot of restaurants. I love Boonton. It is my favorite town I have ever lived in, and there is so much character. Tom — Loyad Charelton has a walking tour of Boonton with a lot of information that makes it very interesting. There is so much to see. I have read an article in HauntedHouses.com that the theater is haunted. Is it? Tom — Over the years people have come in felt and seen things. I myself, have seen small orbs and things like that. I think they are people that are stuck and have not moved on. Nothing bad or negative has ever happened. A lot of spirits have come in to experience the emotions inside this historic landmark. 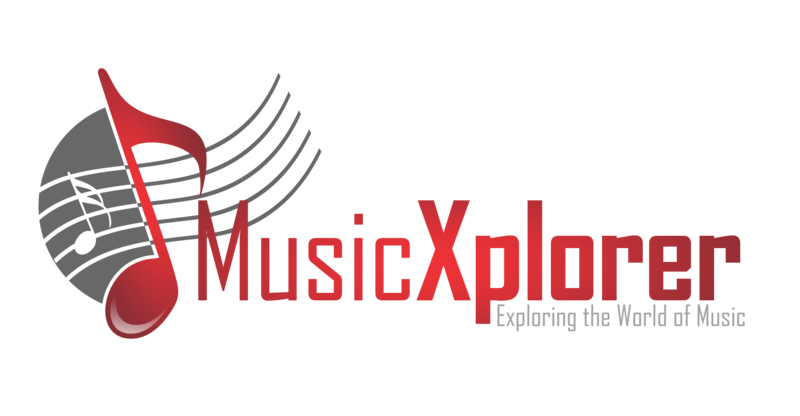 Thanks, Tom, for taking the time to talk to MusicXplorer.